How to build a brand with small or low budget is a very common question that I hear from my friends, clients and other people. For business, it is generally said that you either have to spent money or time to build a successful business. When you don’t have much money, you have to put more time for the success of your business. And the time gives you an easy opportunity of communication with clients and customers. All these efforts can build your business and your community. A brand is built on the base of experience, which is the combination of your communication skills, quality of your products and services, logos to customer service, and the way you receive the phone calls. All these components with your brand are known as touch points. Good news is that you don’t have enough money to build a brand, create strong touch points for your clients. Moreover, these components of touch point are inexpensive and simple. Always ask yourself, for the branding of your business for clients. 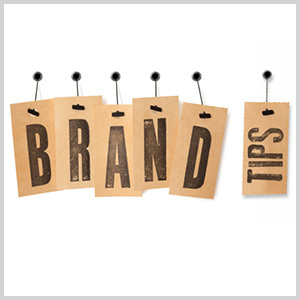 Here are some low to no-cost Tips for a successful branding for your clients. Use your business cards for the messages of your brand. Offer something special or interesting for direct traffic to your website. Use your Brand name and the link to your website, blog, press release and social networks in the signature of your email. Create Business Profiles on Social Networks (Facebook, twitter, LinkedIn and Google+) and update profile content regularly. Create a Facebook and Google+ business page to share your Ideas, Upcoming products and the Industry Trends. Run monthly quiz or contests through these pages. Use your brand signature on tissue papers, pens, not cards, gift boxes, etc. Write a weekly or monthly newsletter and send out to current and old clients. Use signature talk – a particular topic on which you can speak and can give information in one- hour presentation. And offer your signature talk to associations that are aligned with your targeted market, chamber of commerce and other business groups. Write valuable articles on your business expertise and submit them to different Article directories. Write guest posts for well-known and relevant blogs in your industry. Add events, talks and workshops to local news and send free calendar of events. Communicate with your current and potential clients with cards and send custom cards on special events. Join group related to your business or cultural group and attend meetings twice in a month. Make a testimonial document and dispatch to all prospective clients. Make a checklist, e-book, MP3 interviews, and roadmap etc. on your area of expertise and share on your website. Call a monthly meeting of your community for Branding Question Answers regarding your services and products. Brand is known as business value in the competitive market. If you want to get success in the business, you need to have your own brand. So that people come to know about it and your sells increases day by day.